The Actin SDK can be used with any type of robot or complex articulated mechanism. In fact, Actin goes a step further and enables cross-vendor coordination. Actin runs on some of the top robotics systems in the world. 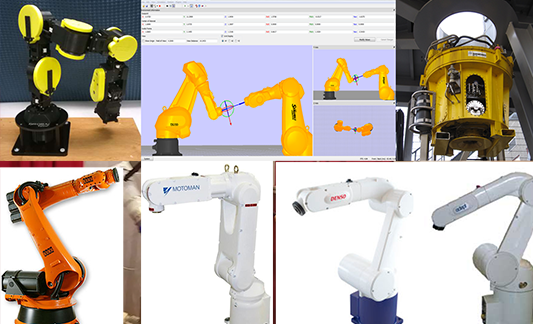 From Universal Robot and Motoman, to Kuka and Han's, we've got you covered. Actin coordinates across vendors. If you have, for instance, a Kuka and a Denso robot, you need software that can provide optimal control for both systems. Actin was made for just this sort of job. Actin coordinates across axes. Your robot may have more degrees of freedom than its software can handle. 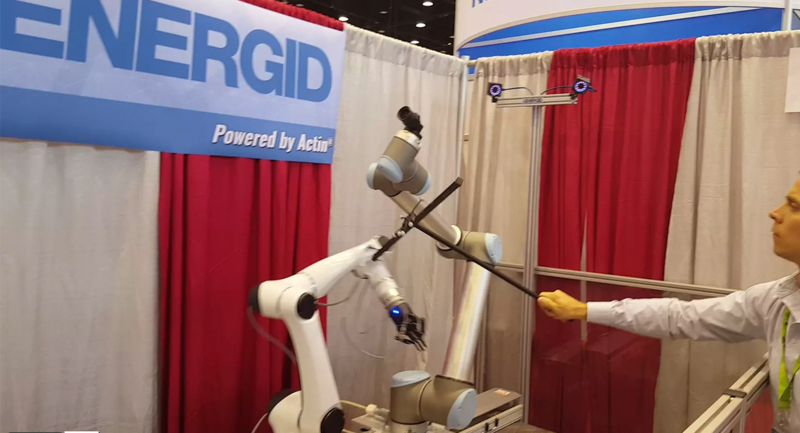 Actin can easily add new axes and coordinate them with the unrivaled power and versatility Energid’s customers have come to expect from our systems. Actin coordinates across solutions. Some of your robots may be third-party, and some may be in-house. All will be run optimally and efficiently with Actin. Actin coordinates beyond spec. Robots sometimes just need Actin inside to provide what the manufacturer’s software won’t do: strength optimization, interactive remote control, or collision avoidance. Actin coordinates beyond legacy. Actin ultimately works with any robot system that provides access to its joint controllers. This means that with Actin even older, legacy hardware can still enjoy all the benefits of our state-of-the-art control. And even in those unusual cases where Actin isn’t already compatible, we can typically add support with little additional effort or cost. Actin is the only robotics SDK that gives you real-time adaptive motion control. Contact us for a free consultation and demo.